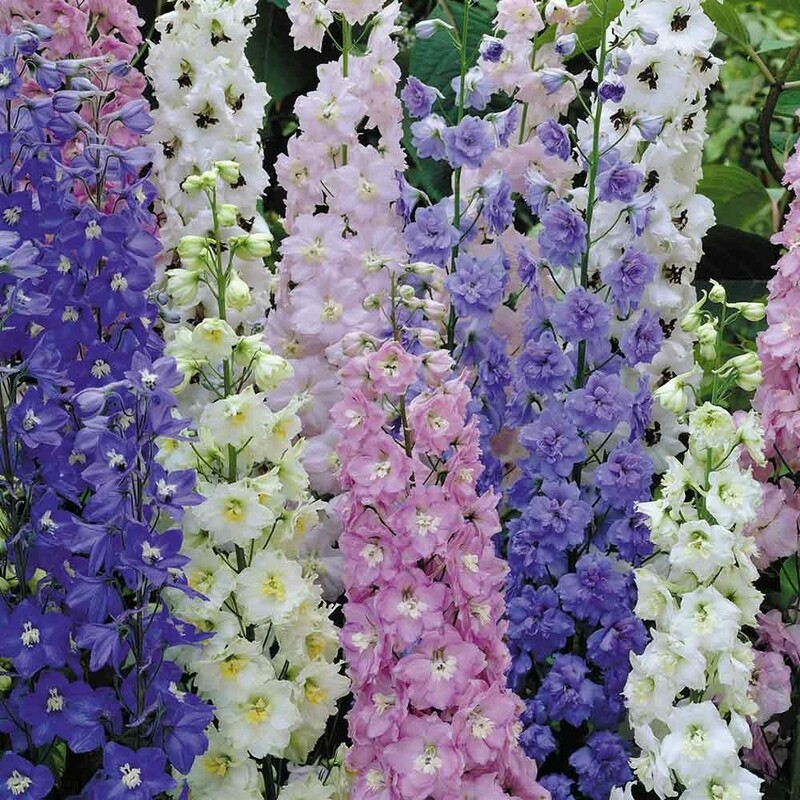 Our Magical Delphinium Collection features a mixture of different shades of this ever popular cottage garden perennial plant - a must have for any garden lover, they thrive here in the UK, producing tall stately spikes of colourful blooms year after year. 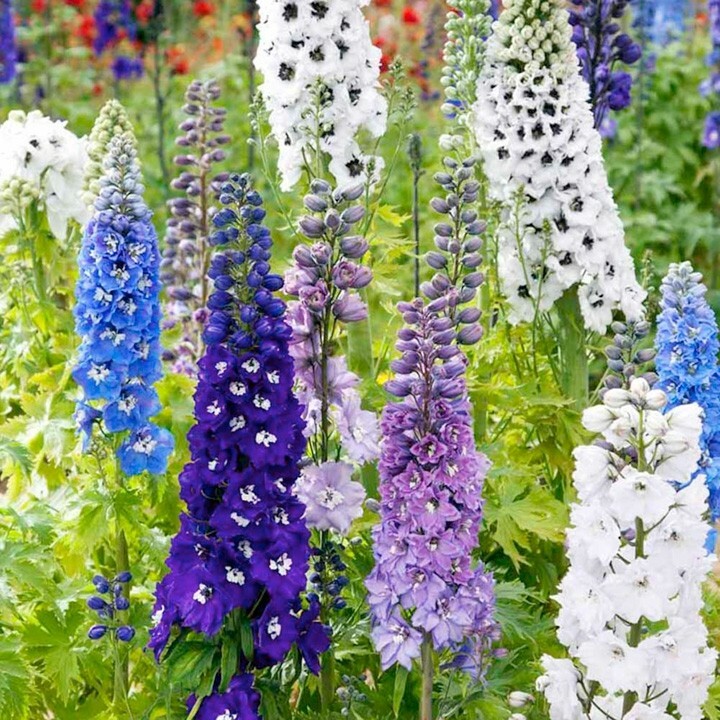 Delphiniums can be grown in almost all soil types, the plants are easy to grow, bold and beautiful, and look especially effective when grown at the back of the border. 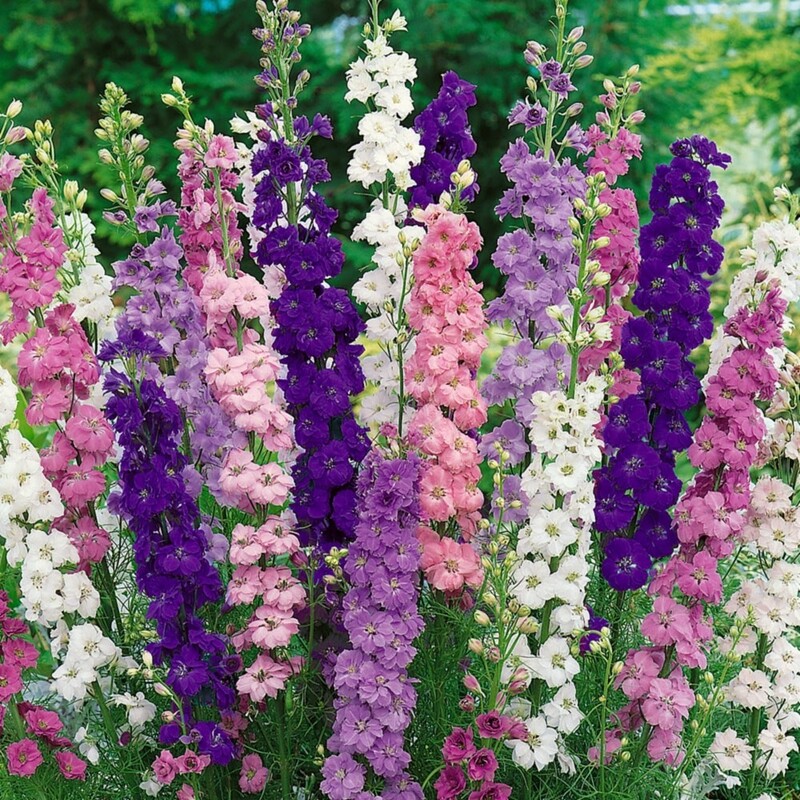 Try planting in a group and the tall 1-1.5m tall flowers will easily blend and compliment other garden favourites such as Lupins and Dianthus. Each plant will form a clump and increase in size and flower power year by year. Collection of 5 Plants, supplied in approx 1 litre containers.